Tired of paying thousands of dollars for industry analyst research? We understand. We believe content is only valuable if people can get to it. That’s why our subscription content is accessible to everyone – not just those with big budgets. Basic Access – Sign Up for a free user account to gain access to some of our content. Total cost = zero. Sounds like a good deal – right? Well, it gets better. Go Premium for unlimited access to our insightful content. 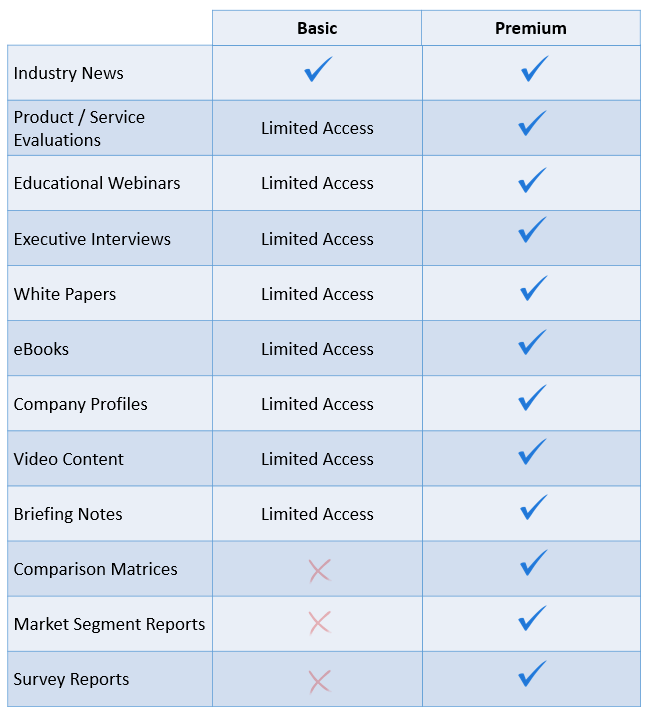 But thanks to our Survey Program, Premium content access is FREE for end-users and channel partners. Just answer a few survey questions each quarter, and your content subscription is absolutely free. Not too shabby, eh? Vendors and service providers pay a very small fee per seat per year for Premium access. Just how small is small? Roughly half a dollar a day. Compare that to what other analyst firms charge. Ready to take the plunge? Just Sign Up for a user account on our system, Sign In with that account, and click on any “Go Premium” link on the site. It’s just that simple. Confused? No stress. Email us at info@reconres.com and we’ll help you out.